There’s no reason to dread Valentine’s Day because you don’t have any date ideas. That’s why we’re here. Seattle is oozing with awesome activities for you and your loved one. 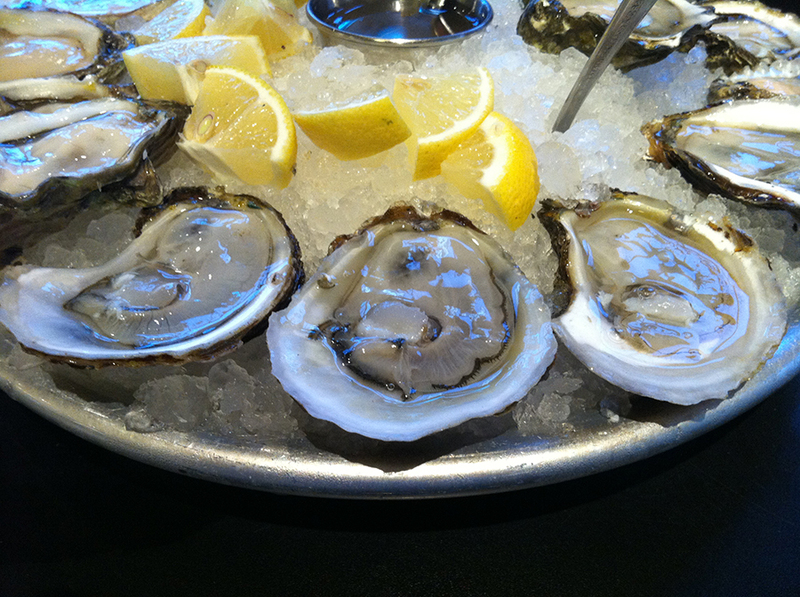 Whether it’s someone you just started dating or someone you’ve been attached to for the last 50 years, these Valentine’s Day date ideas in Seattle are perfect for everyone! We start our list of Valentine’s Day date ideas in Seattle with the Space Needle. Tove and I recently went to the top of the landmark during the day and night. While we both thought the view was more spectacular during the day, Tove said the experience was more “romantic” at night. We actually saw a couple get engaged on the observation deck the night we were there. “You make my heart soar…like we are right now.” That’s the theme in a one-minute Valentine’s Day advertisement for The Great Wheel — Seattle’s waterfront Ferris Wheel. 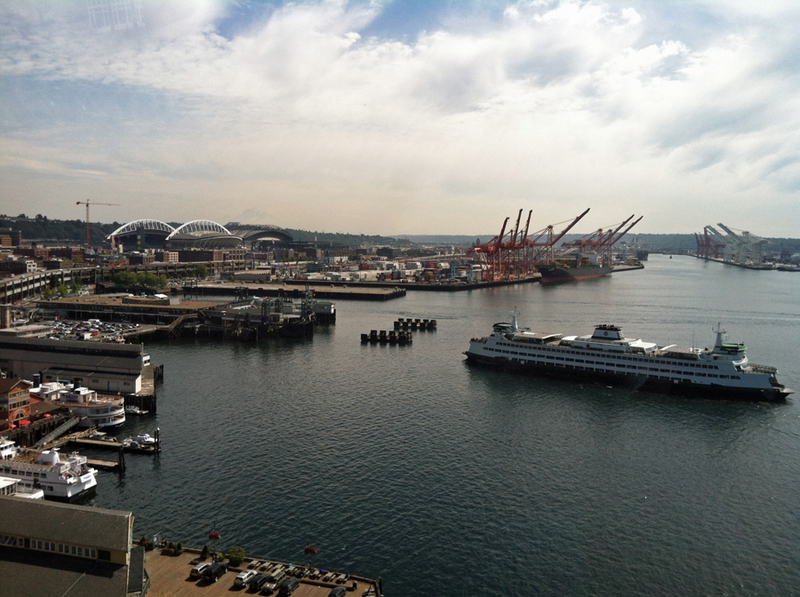 Sitting nearly 40-feet over Elliott Bay, and climbing to a height of 175-feet, The Seattle Great Wheel offers a Valentine’s Day experience you can’t find anywhere else in the Emerald City (or the entire west coast for that matter). Buy tickets here. How can you beat fine art and casual dining all in one place? 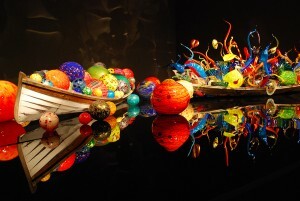 Take a stroll through the amazing Chihuly Garden & Glass, and then stop by Collections Cafe for dinner. 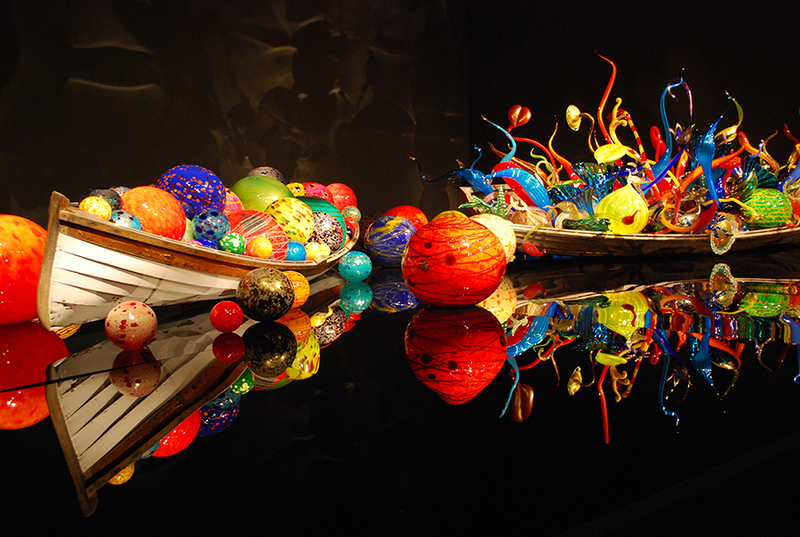 Every aspect of your night will be influenced by famous Northwest glass artist Dale Chihuly. Trust us when we say your senses will be overloaded with awesomeness. Sitting in the shadow of the Space Needle doesn’t hurt either. 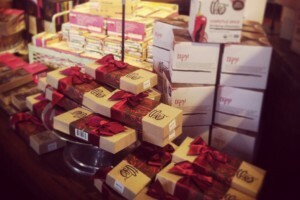 Theo Chocolate’s Valentine’s Day chocolates. Why just buy your loved one chocolate when you can show them how the stuff is actually made? Check out a Theo Chocolate factory tour in Fremont. Tours happen every half-hour between 10:30am and 4:30pm (reservations are recommended) on Valentine’s Day. The tour lasts about an hour and it includes plenty of free chocolate tasting. 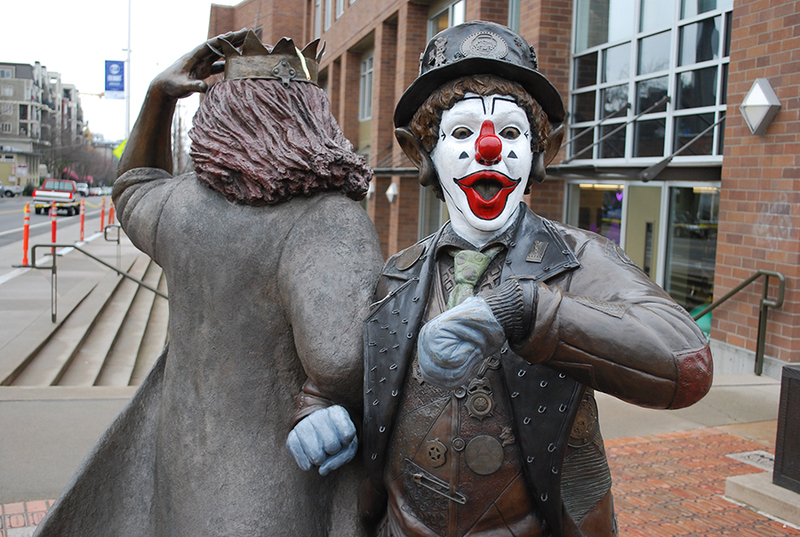 Whether you do the Theo Chocolate factory tour or not, you should take a stroll around Fremont. This is easily the most unique neighborhood in Seattle, with great restaurants, shopping and art. You can spend hours exploring everything the neighborhood has to offer. Don’t forget to hop on Burke-Gilman Trail and take a walk along the Lake Washington Ship Canal. There’s nothing more classic than posting up at a viewpoint and taking in the incredible sights of the city. 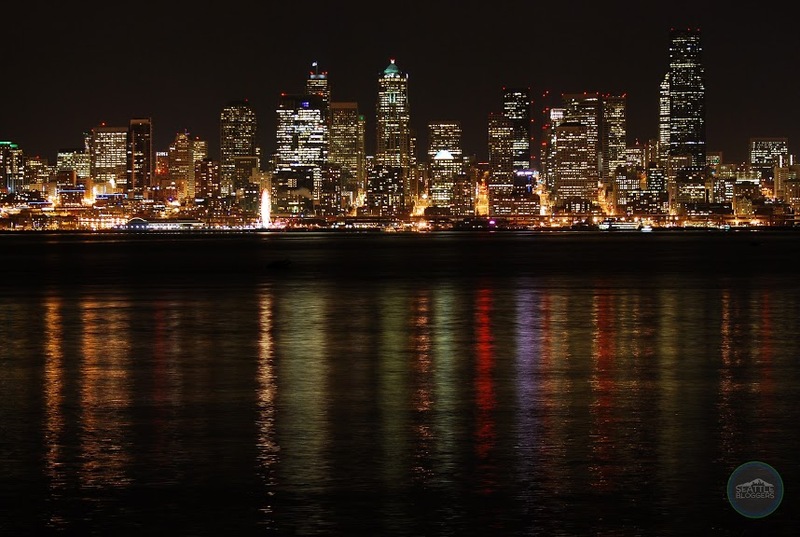 While there are no drive-up locations (Jose Rizal Park might be the closest thing to that), there are plenty of parks with a spectacular view of Seattle. Kerry Park on Queen Anne and Seacrest Park in West Seattle are great options, or you can also check out these cool “secret” viewpoints in Seattle. 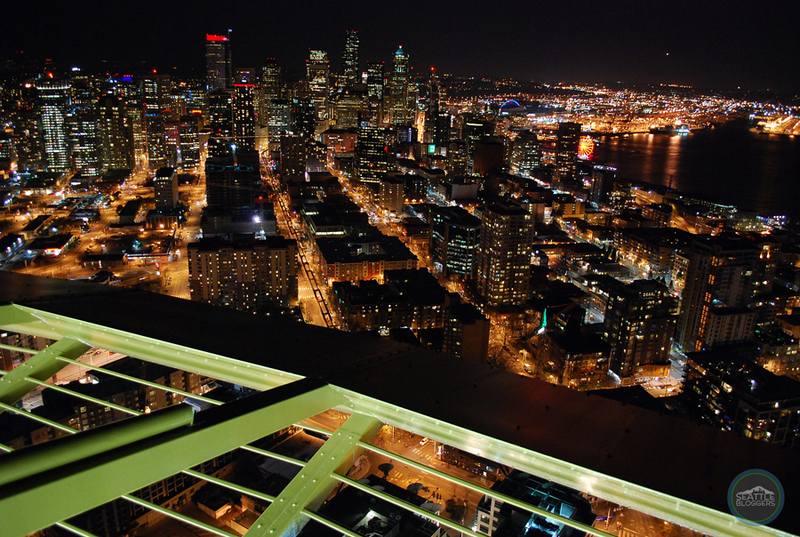 Take a ride to the top of Seattle’s tallest building and check out the Columbia Center Sky View Observatory. Standing at 902-feet, the observation deck is the highest public viewpoint west of the Mississippi River. 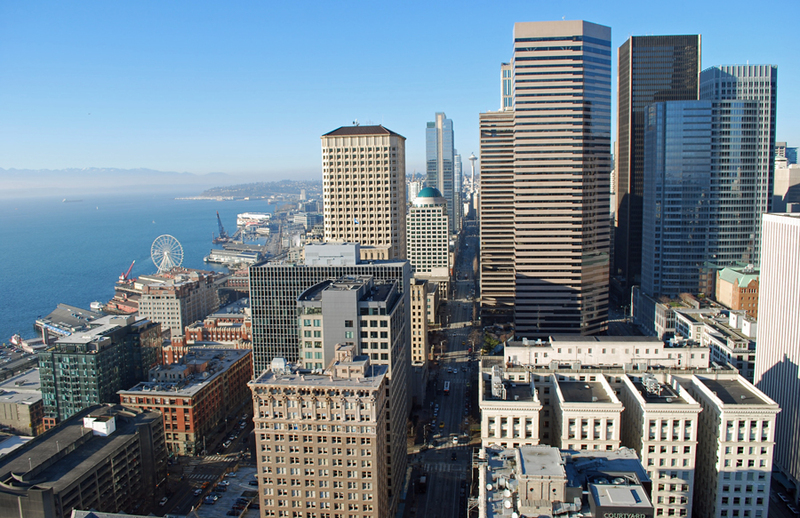 For a more old-school view of the city, go to the Smith Tower Observation Deck. Built in 1914, and maintaining much of its early 20th century charm, this is the original Seattle viewpoint — just be aware they close around 5pm on Valentine’s Day. 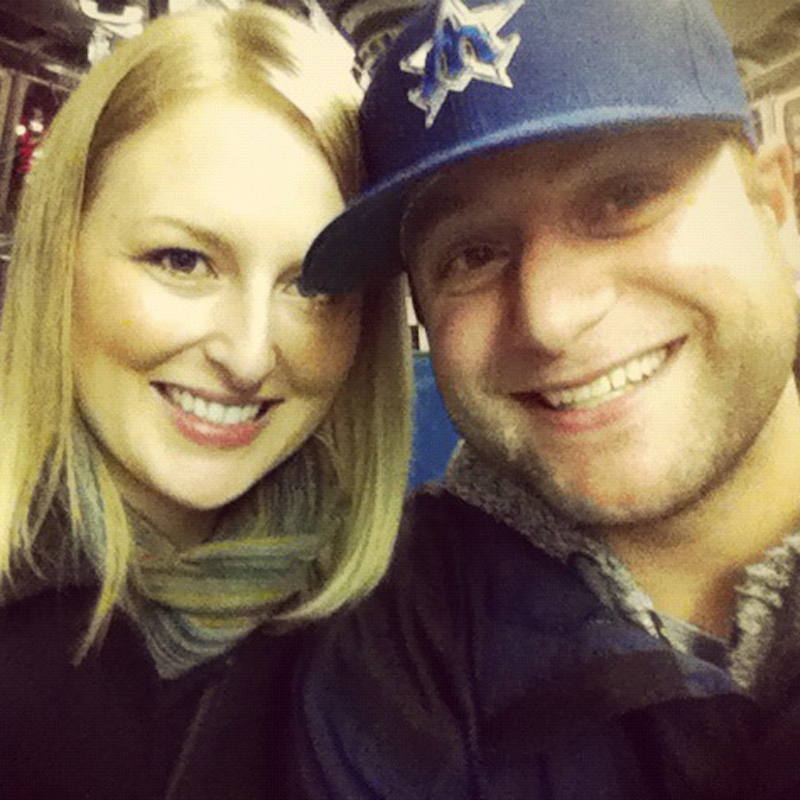 Our list of Valentine’s Day date ideas in Seattle continues with an adventure on Capitol Hill. This was a date Tove and I randomly slapped together one night, but we had an absolute blast. We started with dinner at Taylor Shellfish, moved on to the Garage for bowling, and then closed the night with margaritas at Poquitos. This is a date we especially suggest to couples that are just getting to know each other. It’s straight up innocent fun. This Valentine’s Day date idea is for the adrenaline junkies out there. Head to iFly in Tukwila for indoor skydiving! 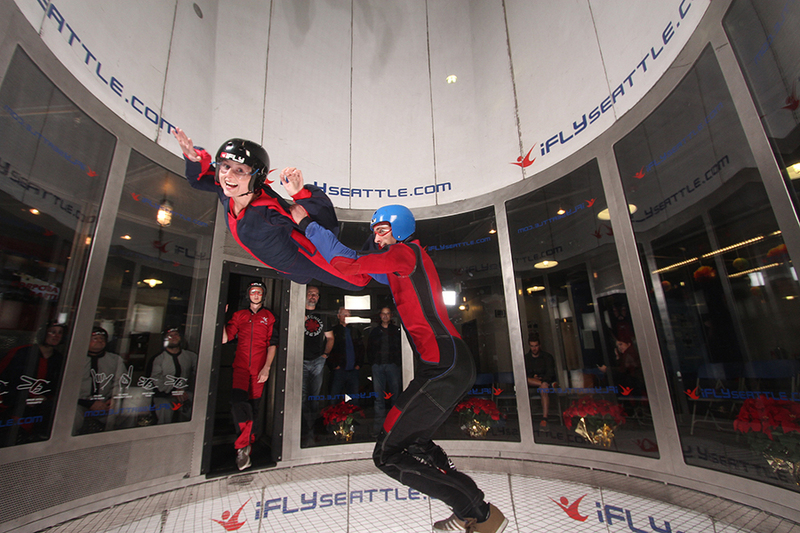 Tove and I both agreed that this was the most fun experience we’ve ever shared together in Seattle. Just like many other ideas on this list, iFly is offering a special package (which takes $40 off the normal price) for Valentine’s Day. 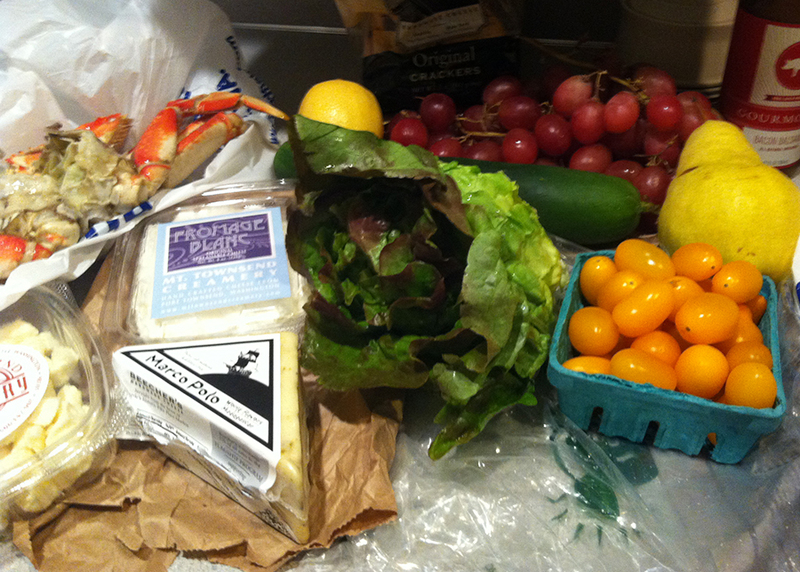 Try making dinner with ingredients only purchased at Pike Place Market (or another local farmers market). To add to the fun, go shopping together. Tove and I have done this in the past. We had a great time perusing Pike Place Market for the perfect ingredients, and then coming home and putting it all together for an awesome meal. What are your favorite Valentine’s Day date ideas in Seattle? We’d (and we’re sure others) would love to hear them! Please leave a comment below or connect with us on Twitter, Facebook, and Google+. 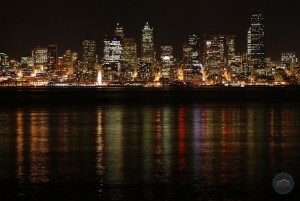 Don’t forget to check out Seattle Bloggers for more awesome adventures around the Emerald City.